If you have chronic kidney disease and reach stage 5, otherwise known as end-stage renal disease, you will need regular dialysis treatments or a kidney transplant to survive. Information is key. If you and your doctor decide that dialysis is the best treatment option for you at this time, it’s important to learn more about your options. Find out how dialysis works, whether in-center dialysis or home dialysis is best for you and whether or not you’ll be able to travel while on dialysis (hint: you can!). Do your research, know your options and become empowered, so you can feel good and live well while on dialysis. Start at the basics. 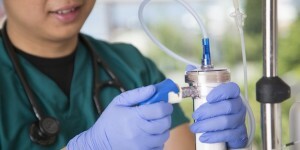 Learn about the different types of dialysis and how each type works, see where you can dialyze and get answers to common questions. 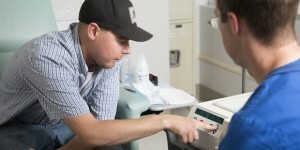 Is dialysis in a center right for you? See the benefits of in-center dialysis, find out where our six centers are located and get your questions answered. Do you want more flexibility with dialysis? If so, home dialysis could be for you. Learn about the benefits of home dialysis and the types of dialysis you can do at home. With a little planning, you can travel the U.S. and beyond, visiting dialysis centers or taking your home dialysis equipment with you. Learn more and, if you’re visiting our area, find out how to dialyze at one of our centers.